Parents have no idea what it’s like to be a teenager in this generation! 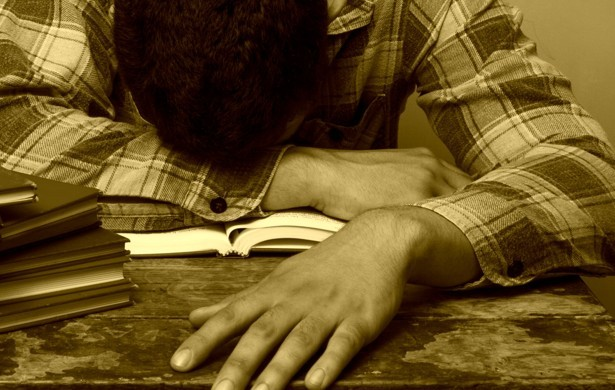 The increased amount of testing teenagers face today, including the SAT, SAT Subject tests, PSAT, ACT, IB, and AP exams, have all immensely contributed to stress and anxiety. And over-commitment, between school, sports, a social life, and family obligations, becomes a balancing act that students can have trouble dealing with. School demands and social relationships are UNLIKE anything that parents have ever imagined. Technology, blurred boundaries, academic expectations, and the daily bombardment of hypersexualized media are just some of the stressors facing teens today. Most teens do not have the skills needed to cope with teen anxiety and these stressors. Unchecked stress can lead to anxiety, depression, aggression, physical illness, and drug and/or alcohol use. Teen agers experience stress every day and can benefit from learning stress management skills. 1. Generalized anxiety disorder (GAD) includes persistent and excessive anxiety and worry about activities or events — even ordinary, routine issues. The worry is out of proportion to the actual circumstance, is difficult to control and affects how you feel physically. It often occurs along with other anxiety disorders or depression. 2. Social anxiety disorder (social phobia/SAD) involves high levels of anxiety, fear and avoidance of social situations due to feelings of embarrassment, self-consciousness and concern about being judged or viewed negatively by others. How can teenagers handle Anxiety? In his book, The Power of Now, author Eckhart Tolle explains that learning to exist in the now frees us from pain while connecting us to the infinite calm of our essential being. He attributes human suffering — depression, anxiety, guilt, worry, fear, and more — to our tendency to live in our minds instead of in the present. Tolle argues that time, or “psychological time,” is essentially a construction of the human mind. In other words, the future — whether it’s work on Monday or a beach vacation in two weeks — exists only in our heads. Similarly, the past is simply a collection of memories. The only thing that ever truly exists is the now. By always thinking about the past or the future, we are ignoring or resisting the now. In essence, we are denying reality and, in doing so, causing ourselves a great deal of pain. When I first experienced severe anxiety issues at 15, I took up meditation on the advice of my counselor. Over a period of time, it helped me learn controlled breathing techniques and relax my mind. I now practice meditation thrice a week for about 10 minutes either in the library or before going to bed. Breaking the habit of excessive thinking can be a tough task to tackle on your own. Attending a meditation group or a yoga class will help them to cope with all the stresses they face on a daily basis and provide them with a drug and risk-free method of escaping reality. Grades are very important for teenagers in high school but it does not mean they need to spend all their free time just studying and doing nothing else. For example, a simple plan of doing well in Math examination, because getting a grade A is very important to you, can trigger anxiety. It could start off initially studying Math for 1 hour everyday and this should sound like a great successful plan for many, right? But with the approaching deadline, some tend to overdo it by obsessively thinking and working on it, sometimes spending an unhealthy 4–8 hours on a single subject leading to mental tiredness. This gives way to a condition of “negative self-talk” — a habit of always telling our selves the worst will happen. A committed and effective plan is what makes one successful. Anything more or less creates an imbalance in life and as said” All work and no play makes Jack a dull boy” holds very true. As teens, it is very important to pick up a hobby, possibly that which involves getting out, meeting people and working in a group. Having less time to brood or worry keeps anxiety away. Do your homework and for reason, if things do not turn as expected, do not get too hard on yourself. Always believe that things happen for a good reason. Every year, students with perfect GPA, SAT scores and excellent EC’s are rejected admissions from top ranked schools that usually puts the highly talented kids into a whirlpool of guilt and depression. Actually, according to a study cited by Frank Bruni, best selling author of ‘Where you go is not Who you’ll be’ says where you apply is more important with respect to success later in life than where you end up going. And often, he finds, it’s rejection by highly selective schools that turns out to be key to a person’s success. One should be able choose friends, school and career according to one’s liking, capability and personality, not because it is the best out there in the market. For example, although Harvard is ranked #1 and considered the best college, both teenagers and parents looking for out for colleges should realize that it may not be the best for them and choosing lesser known colleges is just fine as long as they like it. Writing a To-do list the previous night and striking them off once completed has helped me organize my daily activities with lesser stress. Talk to your parents, teachers or friends and be open about it.If you spend an excessive amount of time feeling worried or nervous, or you have difficulty sleeping because of your anxiety, pay attention to your thoughts and feelings. Teens with anxiety disorders might avoid talking about their worries, thinking that others might not understand. They may fear being unfairly judged, or considered weak or scared.